We would like to take the opportunity and invite you to our business event held in our new office in march, where besides some refreshing coffee/breakfast and two short presentation, we are going to give you a short tour of our new office! Come and visit us and get to know each other better and find out more about how our company works. Barter transaction ≠ 2 free transactions. Independent companies have to proceed just as autonomous companies. If there is a building permit, there was definitely a construction too. Non-payment ≠ dusputing the performance. One of the above is an odd one out. You can find out – among other curisities – which one, from the presentation by Gábor Kertész, Head of Advisory. 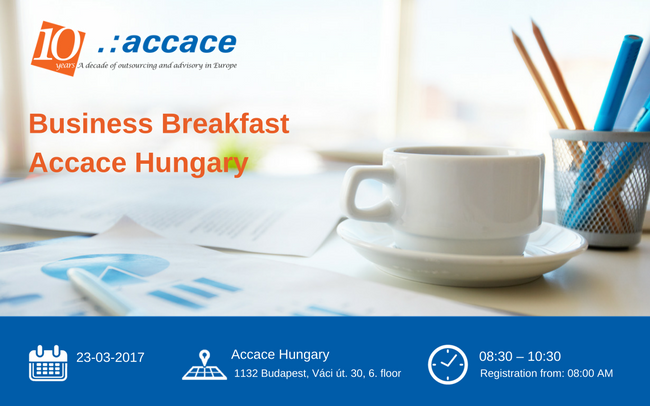 If you want to attend our business breakfast, please send us feedback on your interest until 21 March, 2017 by clicking on the following link.